When thinking about what success means for Scrum Masters, David follows the ideas in the Scrum Guide. We reflect on the Scrum Artifacts, and how the Scrum Master’s job can be summarized as increasing transparency of the Scrum Artifacts. In The Lean Coffee, a group of people select a set of topics they want to discuss, then prioritize those topics and discuss them one-by-one, ending with an action or conclusion for each item. For David, this is a technique that helps the team be fully focused on the discussion at hand. It can be a fast-paced conversation (set a shorter time-box) or a leisure-pace conversation (longer time-box) depending on how much time you have available. David is a Scrum trainer and an advisor to software development organizations. 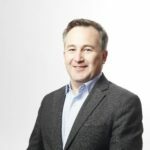 He is in demand among Canada’s largest enterprises including Scotiabank, Sun Life Financial, and Canada’s Federal Government. He formerly worked with DigitalOcean and Myplanet.com, among others. He’s been helping people with the ways they use Scrum since 2007. You can link with David Sabine on LinkedIn and connect with David Sabine on Twitter.